Please attend one and share your support for a future that includes diverse inter-district magnet schools in our community. These sessions are a great opportunity to voice concerns and present ideas directly to district representatives and help influence Deane-Williams’ future planning and priorities. Any community member is welcome, urban or suburban, parent or non-parent. Feel free to make any points you want. Our Great Schools for All communications team has a few thoughts that might help you organize and present your ideas. Don’t view this as a script, but simply as guidance. Use your own words. Your presence in support of diverse schools is more important than any arguments you can make. Be brief and keep your message simple. If you can, share a little about yourself that would help the superintendent and her staff understand why you feel strongly about diverse schools. Do you have children or grandchildren of school age? Are you hoping to have children at some point? Do you see diverse schools as tied to a better future for our community? Have you witnessed the struggles of children and families who are isolated in poor neighborhoods and schools? Clearly state your support for socioeconomically diverse schools, and your reasons. Again, be simple and brief. Don’t offer statistics or quote books or research papers. The purpose here is to encourage the RCSD to act. Perhaps, just note that the evidence shows diverse schools improve academic outcomes for the poorest kids and improve critical thinking, creativity and problem solving for all. 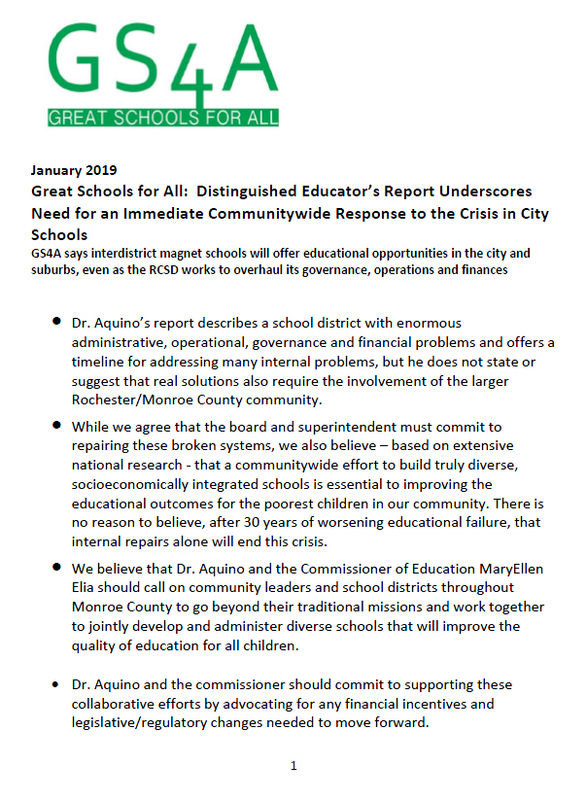 Urge the RCSD to immediately begin working with other districts for the purpose of opening one or more diverse magnet schools that will open doors for students from all across our Monroe County community. Thanks so much for your support in making the most of this unique opportunity. 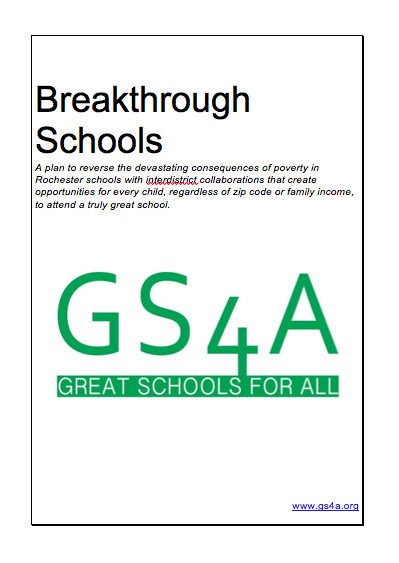 © 2015 - 2019 Great Schools for All, Rochester NY. Contact us.